I replaced my orange DMD in my Southpark pin with a color LED. Now I can't get it to initiate. The display usually flashes for a second or 2, sometimes not, sometimes it kinda scrambles the screen. It does all these things when not connected to the CPU / sound board. When connected to the CPU sound board, it will not even post scrambled. Think I could have upset the driver board? 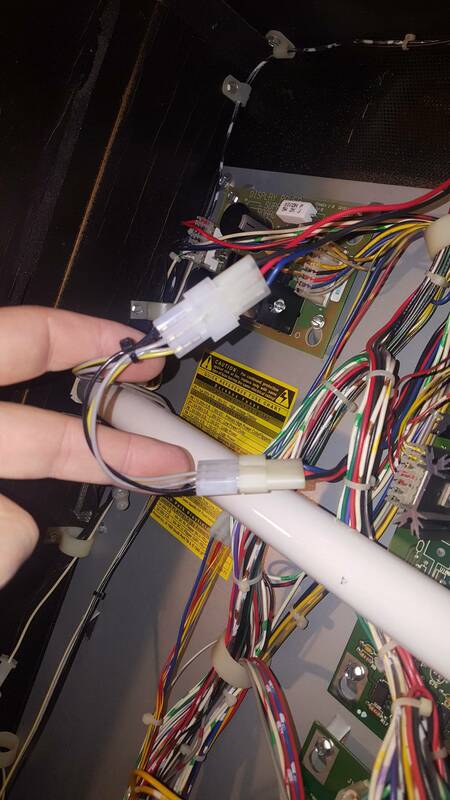 When putting it back in with the color board, My father accidentally put the 3 in power cord in backwards ( on the new LED screen ). It didnt make any noises like it caused any problems or fried anything. Also using the menu buttons for the color LED, it works fine. I flashed the LED with the 3.4 southpark and does have a nice splash screen. Any opinions or help would be greatly appreciated. I did try putting the orange one back in, but it still doesn't work right. Possible CPU replacement or the Display driver? Was the original display working perfectly before trying to install the color DMD? If not, what symptoms did it have? 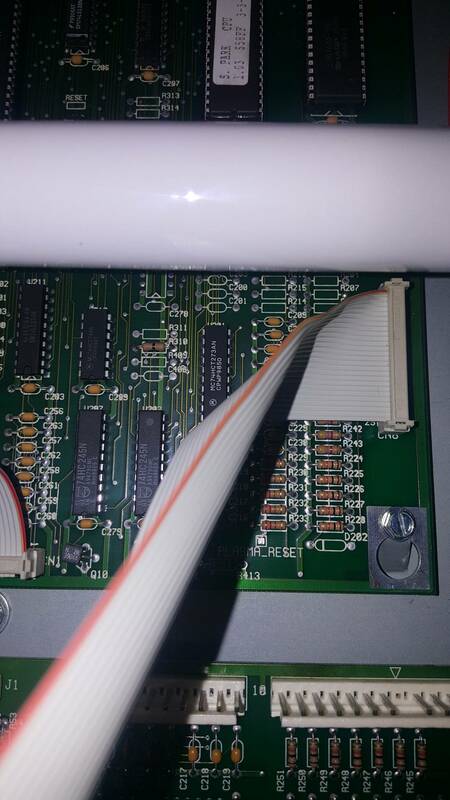 Check all your ribbon cables for and ensure you have pin 1 identified on the boards lined up to the red tracer side of each ribbon cable. Double and triple check you have all the ribbon cable connector lined up properly and not one pin off up or down or left and right. Worked perfectly until I tried to install the color DMD. I re installed the ribbon cables many times to double check them. It doesn't go into game mode, just splashscreen for a second then all the table lights are lit solid. I dont always get the splash screen either. Sometimes it's garbled. I would assume the driver board is going but want to know if maybe it was more than that. Even when the ribbon is disconnected, I can get a garbled splash screen. Actually, when the cable to the cpu is in, I get no splash screen, garbled or not. So when the cables are all connected, the game will not boot up into attract? You need to solve that first. So leave all the cables off the actual display and just connect the ribbons between the stock boards. See if the game will start up into attract mode. 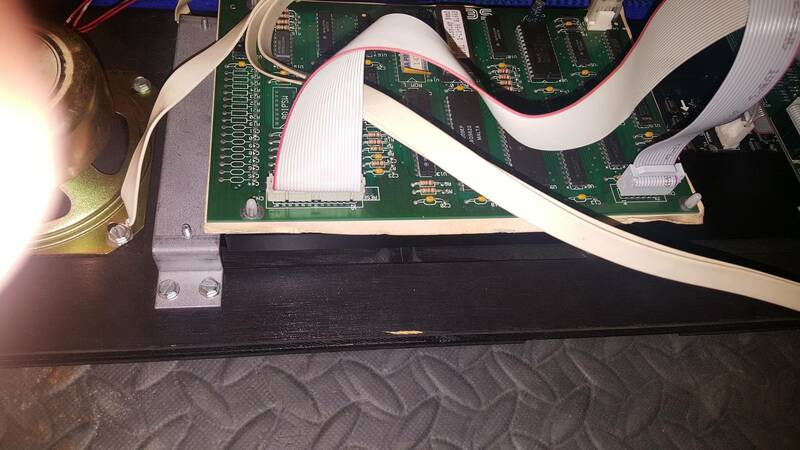 If not, you either have a ribbon cable installed incorrectly (backwards or 1 pin off) or you blew one of the boards. All I should need for it to go into attract mode is the ribbon between the cpu / sound board & the driver board with power cable on it correct? Not connecting to the driver board would not allow it to go into attract mode ( obviously without a picture ) ? Mail color dmd they help you in a second. Please take a picture of the ColorDMD and the DMD controller board with all the cables connected. I have done that with color DMD, they want more pictures which I will take & send to them. So far they seen all my connections except the power onto the driver board. 3 pins one blank, lined up perfectly. They still wanted to see it in a picture, but I just didn't get there yet. Like I said to them though, it is correct. My splashscreen comes up sometimes and sometimes it was garbled. Leading me to believe it is the driver board / chip. I am going to install the new chip here soon. Is there a right & wrong way? I haven't looked at it close enough yet. I do have before pics but the new one looks different from the top, it's not 20 years old. Yes. There always is a right way to install any IC chip. Look for the notch on the chip and the notch marking on the board. OK, I installed the new display chip and it gives me the splash screen again; Unless I plug in the ribbon cable from the cpu / sound board then I continue to get nothing. Also I can't get attract mode no matter what ( original problem ). I will dig up a few photos and possibly take more. 1 sec. Thanks for the help everyone. I plan on getting a Wizard of Oz and a Tales from the Crypt long term ( if your interested in talking about that later ). Currently saving for the Wizard of Oz. Also, the color DMD menu works. I flashed it with the South Park USB info when I got it. Splash screen is in color & looks nice when it shows. The second photo of where I jumped the power from has been changed. I now jumped it off a free power cord near the coin mech as requested by DMD color. Also, I tried putting the original high power and regular power cables back on the original orange screen and that does the same. I don't believe it has to do with the color DMD. Tried reflashing the DMD. Not going into attract mode however I still get the splash screen for a few seconds in color when restarting the pin, leading me to believe the flash was successful. The 4 leds on the cpu board that display the voltages are not all lit. Should they be? The first and 3rd are lit while the 2nd and 4th are not. Is this normal? They display, 12v 20v 18v 50v. The 20v and 50 v are not lit. Actually as mentioned before, I don't get the splash screen when the ribbon cable from the cpu / sound board is plugged in properly. This is the main reason I think there is something either wrong with the cpu board or the display board. I don't have another ribbon cable to try. The cable was not pinched or damaged though so I would not suspect the cable is bad. But. I should probably get a new one and try. Just don't want to keep purchasing random items. I already bought a new cpu and display chip when I broke the display chip trying to take it out and re-seat it to see if that helped. After purchasing the first set, I realized that the shipping was set so far out that I ordered another display chip from somewhere else to get it faster. I now have an extra cpu and display chip which is not a bad thing. my mistake, the leds are on the power driver board below the cpu board. The 20v and 50 v are not lit. Coin door must be closed for these to lit up. These voltages are disabled when the coin door is open to protect the operator or accidental shorts if you reach up there with a screwdriver. What splash screen are you seeing? Picture? Make sure the coin door is closed when checking the power LEDs on the driver board. Are they lit with the coin door closed? 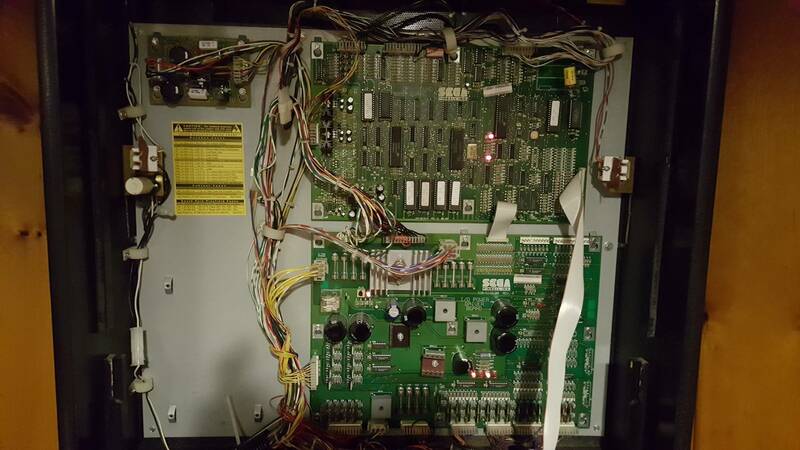 Are you near anyone else with pinball machines that might have a game to try swapping parts? You need to get the game to boot up into attract mode just as mentioned long ago. The display of the flash screen is only part of the boot up process so stop focusing on that. Are all the cables connected? I believe this is where your problem started and something bound to be damaged from this. Do you have any other Whitestar games? I would have to believe your CPU board has a problem booting up, assuming all your cables are plugged in. Yes, I agree. I needed to try the basics that everyone was suggesting first though. I have a good feeling we blew something. I was locked out due to the 5 posts per hour limit btw ( that's what took a while for this response ). I think the display and wiring for all of that is fine / not the problem. I did replace the display chip. I have a cpu chip I purchased but don't want to start just replacing everything without a reason or game plan. What would you suggest to check first that could have blown? All the fuses check out OK since I replaced 1 (listed above). I do not have any other white star games. This is my first pinball in 20 years, We had one in our house as a kid but that was the late 80s. The splash screen doesn't even try to turn on when I have the cable from the cpu board installed. I think this is a clue of some sort. Yes, I have the cable in correctly ( I think ), I also have pictures above to double check me in case I am wrong. Thanks for all the help again everyone. Now, this is a picture with the coin door opened. I have the power cable provided by DMD color ran through the coin door so I currently can't close it. I will run it down through the cab when I have time. Normally, a ColorDMD install goes a lot smoother than this. Things happen sometimes, even when you are too careful. Lots of support here on Pinside in case things do go wrong. Yes, and keep in mind, if we didn't put the plug in backwards ( a duh moment ) none of this would be an issue. We were rushing and made a pretty simple mistake. Any update on what I should possibly look at replacing / checking? I would like to try and replace parts on the board before i just buy a new board. I can solder somewhat and my father can solder very well. Since he placed the plug, I might hit him up for some solder work, Lol. Also, I don't even know which board is the culprit yet. I would be suggesting a board(s) to be sent out for repair as it would be cheaper than buying a new board. I wss hoping chrishibler had some repair pointers in this case as there could be multiple part failures. OK, metering inputs on the board with my father, we found that J16 on the Driver power board has pins 2 & 3 that are supposed to be 12 volts but showing 27 volts. Also the corresponding pins on the cpu board CN2, pins 3 & 6 are also supposed to be 12 volts but showing 27 volts. The other pins on both of these connectors are correct. This a clue to our mayhem? Let me know your thoughts. Thx. So you are measuring each of these pins to ground screw or the ground braided wire? Pin 2 and 3 are 12V unregulated but 27V is very high even considering it is unregulated. Are you using a quality meter to measure this? Measuring to the ground pin wire. We measured all the other ones as well noting that they were what they claimed to be, without looking right now ( getting ready for work ) we would have measured pin 1 on J16 and it was correct. I will let you know the make of the meter after work today but my father has many and said to be careful with this one as it is his good one. The LEDs listed above in the photos are whats lit other than the one attached to the coin door is also now lit. That is 3 out of 4. I think they are 1,3 and 4 are lit. I don't know the # to the LEDs at the moment. Checking everything again with a ground and not the ground wire on the plug & a better meter, everything is getting the voltages they are supposed to. Back to ideas? Just thought of something when checking voltages. When I mentioned that we put the plug in backwards, it was the one going to the DMD board that came with the new color screen. The 4 pin connector that has 3 pins occupied. It was jumped off a plug that fit in the back box which is pictured above ( my hands are holding the connection up ). I may have made it sound like the 2 prong plug that is plugged into the original display board that houses the display chip. Not so. Not sure if that changes anything, but that is what was done. Yes, I followed correctly. 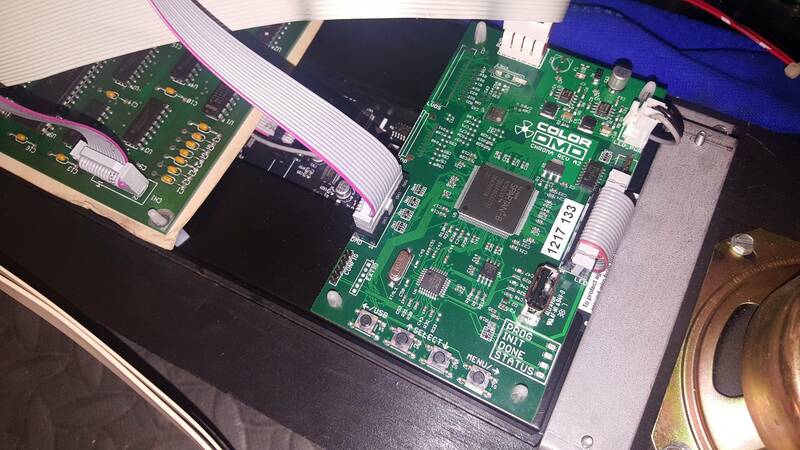 The ColorDMD board had the connector plugged in wrong. Hard to say what was damaged, as this seems it would have put 12v into 5v, which could have did a lot of damage. This is why I was seeing if chrishibler could be of some help. Just might be easier to have the MPU and driver board sent to him to test/repair. For sure, the blanking LED is not lit on your driver board, but I am not sure if that is a MPU or driver issue or both. It would have been nice to have a 2nd of the same era game to help swap between for testing purposes. Since the voltages are correct, I agree, best to find someone that can trace signals to see whats going on here. If I could narrow it down to a specific board, or just for future use, what do you think of the naughtydog boards? Yuck. Have any friends with Sega Whitestar games? I like the idea of new parts. What do you dislike about those boards? There is no such thing as a Rottendog MPU replacement. The driver board...I'd rather have the OEM board. May I suggest, that you've blown something on one of those two boards. You need to send them both to a pro. That MPU goes for at least $450, so send it to someone you trust if it's not me. +1 for original boards. Whitestar is a reliable board set. I don't think you would need a spare for the machine once the boards are back up and running. Rottendog boards have their own issues. I highly suggest sending the MPU/driver pair of boards to Chris. I have a semi local guy, ( 1 hour away ) coming to look at my boards. He said he can repair a board if it is repairable. I have since looked at ebay and realized that the MPU boards are not replaceable with a rottendog board. Just the power board. I would have sent them to Chris to start with, but haven't seen a response on my thread and decided to go with who's local out of being down for 1 1/2 months. JT Amusements PA is who I am having in next week 26th to work on my pin. Hope it goes well. He is charging me the 50.00 per hour for the hour drive here and 12.50 per quarter hour plus parts after that. Jim's a good guy and a very knowledgeable pinball tech. Highly recommended. He'll get you going again. He may have to take the MPU with him as debugging a logic issue on that board is non-trivial. There were 2 blown chips on the CPU, causing it not to boot. 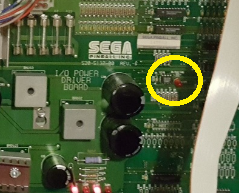 There was a blown chip on the DMD controller board, which would not allow the CPU to communicate with the DMD controller board. Yeah!! Enjoy your game in color! Thanks for posting the results! Congrats on getting it back up and running!